country celebrates Diwali with lamps and fireworks, holds great significance in the state of Goa as it marks another victory of good over evil, the defeat of the demon Narakasura by Lord Krishna. 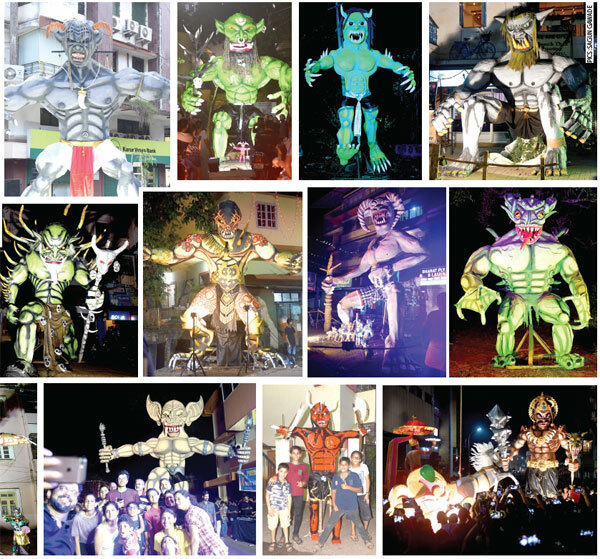 Celebrated as Naraka Chaturdashi, the eve of it sees the streets filled with huge effigies of the demon that are made by clubs, societies, groups, etc getting their finishing touches before they are paraded in great fanfare and set afire as the festive day dawns. The talent, time and effort that go into creating these gigantic, larger-than-life effigies that take inspiration from other mythological stories as well as pop culture are impressive. This festival marks the second day of the five-day-long festival of Diwali, preceded by Dhanteras and followed by Diwali, Govardhan Puja/ Padvo and Bhaubeej.